AMES — Practice. Study. Play. Repeat. Iowa State football coach Matt Campbell strictly adheres to a rock-solid routine daily, weekly, bi-monthly — by every measure of time, both short and long-term. So when a bowl game rolls around — like the Dec. 28 Alamo Bowl will, happily, for the No. 24 Cyclones — the days and weeks leading up to it create dual pillars of challenge and opportunity. 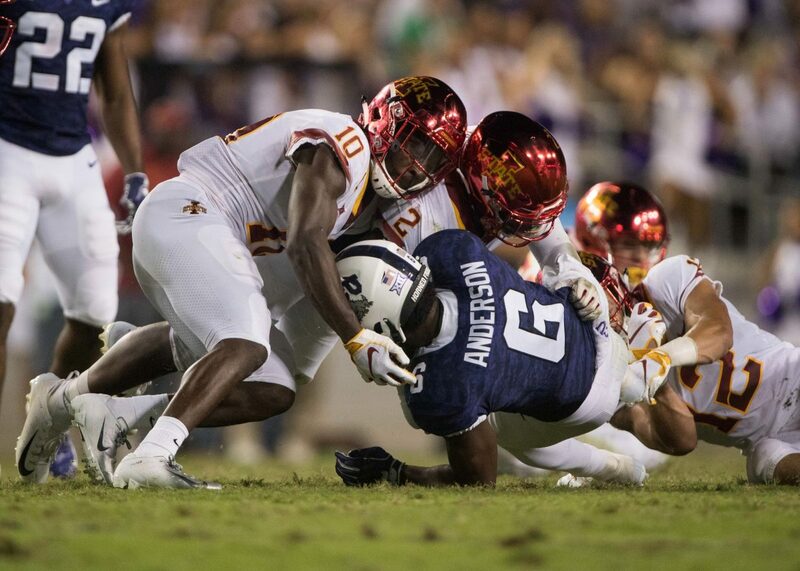 “I think you have to have leadership within your walls in terms of balancing that, because this will be the first time that there’ll be some time that these guys have that they’re not in that routine that you know I like and you know our kids like,” Campbell said Sunday after learning ISU (8-4) would play No. 13 Washington State (10-2) in the Big 12’s top non-New Year’s Six bowl game. Players such as Joel Lanning, Allen Lazard and J.D. Waggoner, among others, served as senior anchors in the Cyclones’ Liberty Bowl win last season — ISU’s first postseason appearance in five years. Now it’s up to current senior leaders such as Brian Peavy, Willie Harvey and Kyle Kempt to keep the hype tamped down and the attention to detail amped up for an ISU team that closed its most successful regular season in 18 years by winning seven of its last eight games. As for their bowl opponent, Wazzu? Campbell and players alike admittedly know little about the Cougars (or Cougs, as their fans often refer to them), other than former Texas Tech coach and colorful iconoclast Mike Leach leads the team. 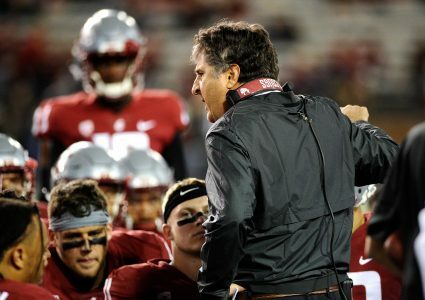 Leach’s Cougs had hoped to be included in a New Year’s Six bowl and have reached postseason play in five of the past six seasons. Quarterback Gardner Minshew has competed a heady 70.6 percent of his passes this season for 36 touchdowns and nine interceptions. Running backs James Williams and Max Borghi have combined for 19 rushing touchdowns as key parts of an offense that’s scored 31 or more points nine times this season. That’s the message Campbell shared with his team shortly after last season’s Liberty Bowl win: The outside world will view their 2017 success as “a flash in the pan.” They needed to see it as the first piece of bedrock positioned as a foundation for greater things to come — not every once in a while, or rarely, but day after day, week after week, year after year. Campbell said it’s still not fully known how severe injuries sustained by starting offensive lineman Bryce Meeker and starting linebacker Marcel Spears were in Saturday’s win over Drake, but noted they looked worse than they might end up being.